Fact: Vehicles today are outfitted with more “stuff” than ever before. 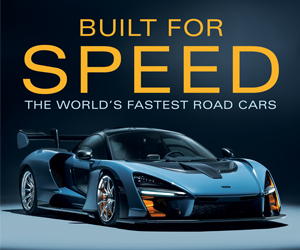 Standard safety equipment, sophisticated infotainment/connectivity systems, and a general desire for luxury features have combined to drive the average transaction price on new vehicles sold in the U.S. to almost $34,000. More sobering: The average transaction price on a new pickup comes in around $43,000. To help keep their vehicles affordable, consumers have been taking on loans with longer payback periods. 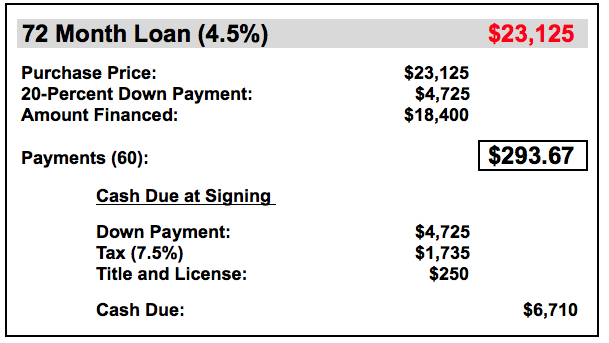 Not so long ago, a 48-month loan was considered the industry standard. Today, the average loan length is 68 months–and 84-month loans are no longer uncommon. And what of the average new-car payment? Per USA Today, consumers are now paying $503 a month, on average, for their new cars and trucks. Still, for every $53,000 Jeep Grand Cherokee being financed, there are plenty of more-affordable new and used cars and crossovers available for shoppers who are looking to live a little more frugally. Here, we look at crossovers you can buy for $300 a month, assuming loan lengths of 48, 60, or 72 months. 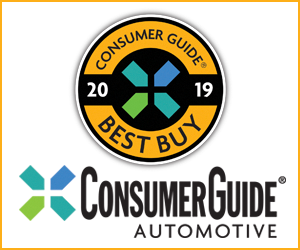 As a general rule, Consumer Guide doesn’t recommend loans as long as 72 months, but we might make an exception when the payments are low, and/or the vehicle being purchased has a record of strong resale value. We assume that a 20-percent down payment is being made. A lower down payment will likely affect the interest rate, and raise the monthly payment amount. We assume that taxes, title costs, and license feels are being paid in cash. These costs can be rolled into the loan, but will raise the monthly payment. We are assuming a 4.5-percent interest rate, which is common as of this writing. Rates may rise at any time. Consumers with lower credit ratings can expect to pay a higher interest rate, which will raise the monthly payment. We assume the down payment is in the form of cash. A vehicle trade-in would lower the sales tax paid on the new car, as only the difference in the price of the new vehicle and the value of the traded-in vehicle is taxable. We are assuming a 7.5-percent tax rate. State and local taxes will vary, and may be considerably lower or higher than 7.5 percent. Note also that our examples include a new vehicle from a new-car store, a used car from a new-car store, and a used vehicle from a rental-car dealer. A private-party purchase, for consumers comfortable with such transactions, would likely yield a lower purchase price, though independent financing arrangements would need to be made. A 48-month loan of about $300 a month will cover a vehicle of about $16,000, assuming a cash down payment of 20 percent. 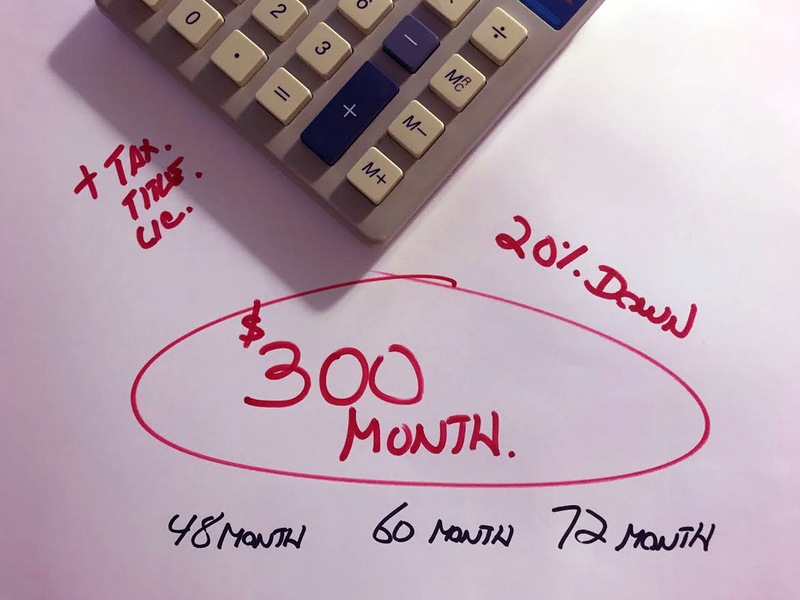 A 60-month loan of about $300 a month will cover a vehicle of about $20,000, assuming a cash down payment of 20 percent. A 72-month loan of about $300 a month will cover a vehicle of about $23,000, assuming a cash down payment of 20 percent. 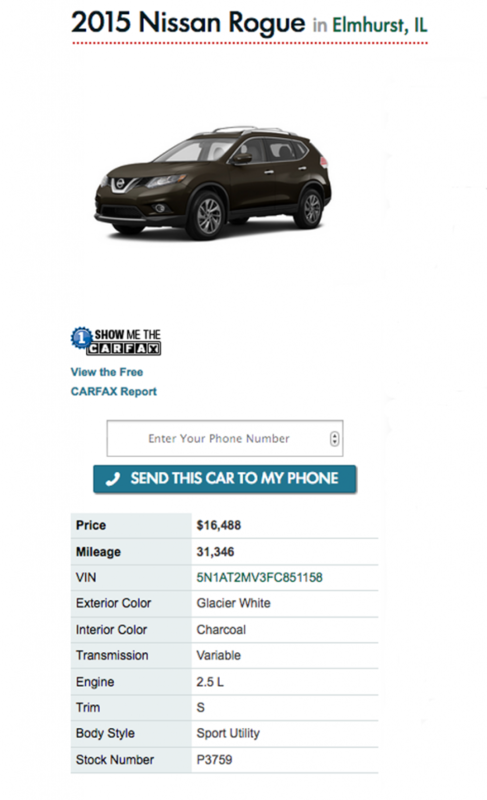 This front-wheel-drive 2015 Nissan Rogue was listed on DriveChicago, an aggregate listing site for new-car dealers in the Chicago area. Assuming the asking price on this Rogue is firm, monthly payments would come to around $301–right at our budget. An AWD example would add about $20 to the monthly payments. This front-wheel-drive 2015 Honda CR-V was listed on the Enterprise Car Sales site. At this price and as equipped, this small Honda Crossover would come to $304 monthly, only slightly over our $300 budget. An AWD example would run roughly $15 more each month. This new front-wheel-drive, midlevel CX-3 lists for a reasonable $23,170, though Ceramic Metallic (shown) is the only no-cost color option. 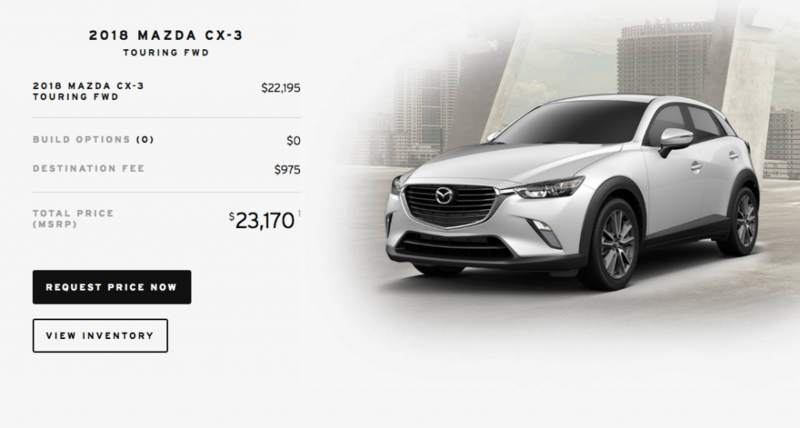 As shown above, our CX-3 comes to $294 per month, a little under our budget. Going with an AWD example will add $16 to the monthly payment, while an extra-cost color would add $4. Written by: Tom Appel on June 25, 2018.on March 22, 2019.